RIP, Devil Dance. 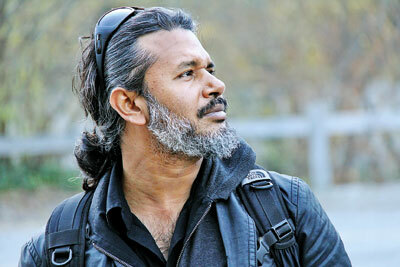 This week, in our Q&A with author Shehan Karunatilaka we take a moment to grieve for the much-anticipated manuscript that earned him a place on the shortlist for the 2016 Gratiaen, and gain some consolation in word of two new books and the possibility Chinaman might live again as a mini-series for television. I think a lot of parents are going to relate right away to your book for children, Please Don’t Put That in Your Mouth. How much of it is autobiographical? I have a daughter and a son, both under 5, and it’s fascinating how differently they are wired. And how looking after them can be equally stressful but in very different ways. Of course, these things can famously take ages, so by the time it gets made, I may even be old enough to play WG. Chats with the Dead is me learning from the mistakes of Devil Dance. It’s a much simpler book, with better-realised characters, an authentic tone, and a more focused plot. Published in the Sunday Times, Sri Lanka on March 24, 2019. By Smriti Daniel.